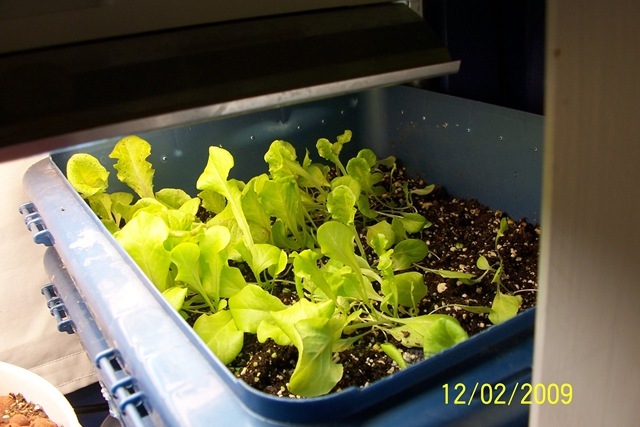 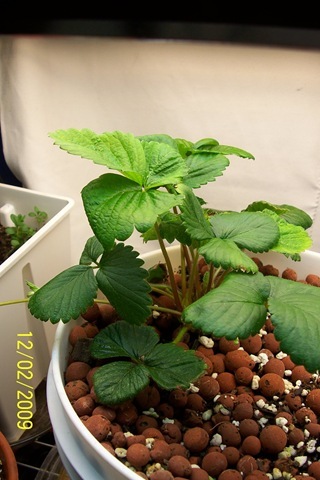 Baby Lettuce, a few of these I will let grow into heads, each one will give me months of lettuce…and in the meantime I eat delicate little baby lettuces sprinkled over thick tomato slices (which are still blooming and have ripening tomatoes on them outside). 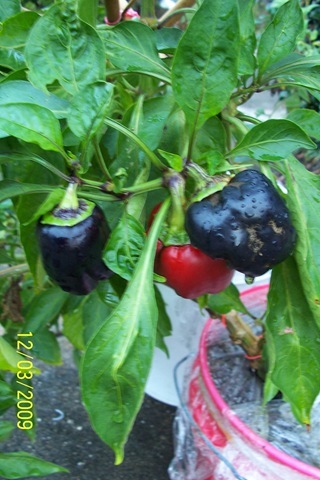 Purple peppers are still blooming and have ripening fruit, too. 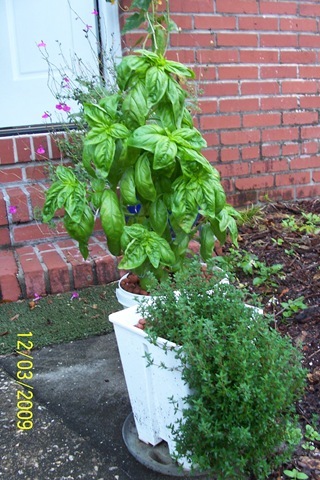 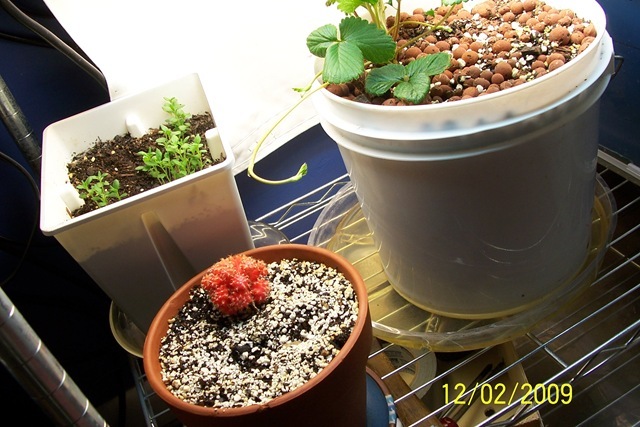 They, like the tomatoes, have fared WAY better in sub-irrigated containers, made out of 5 gallon buckets. 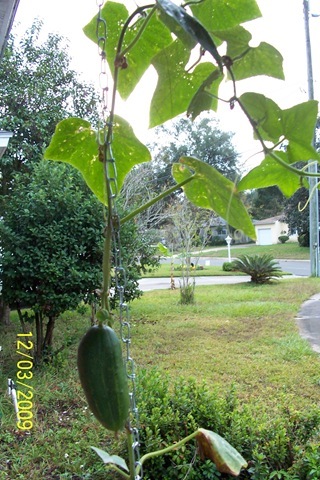 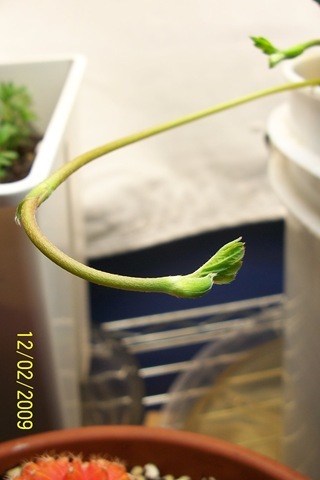 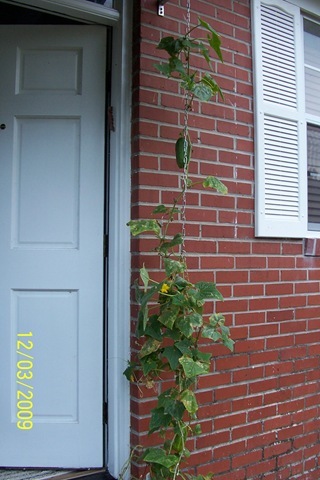 Here’s the cucumbers, growing up a chain by my front door.. 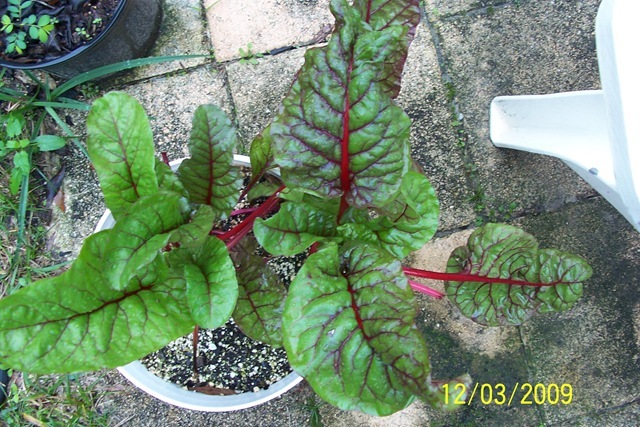 These beets greens just keep producing for months as long as I keep taking the outside leaves off to et for dinner..